Simply put, we are passionate about our products. We are renowned for toiletries that vary from richly classical to wonderfully innovative and are proud of our British heritage. Our desire has remained the same from our inception until now: to develop products that are reasonably and realistically priced, are exquisitely packaged, have wonderful fragrances and are formulated to really work. For more than 30 years that we've been designing, formulating and selling bath and body products, 16 of those years as The Somerset Toiletry Company. Two (2) of the Somerset Toiletry Company AAA Floral Hand Cream in "Lilac Blossom" scent. 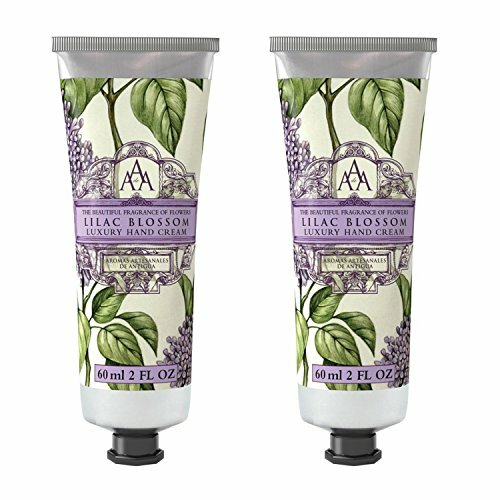 Part of the Aromas Artisanales De Antigua Floral collection, each "Lilac Blossom" Luxury Hand Cream is 60ml / 2 ounces. You will receive two tubes of hand cream as shown. Hand cream contains natural shea butter to thoroughly moisturize, nourish and soothe hands. If you have any questions about this product by Aromas Artisanales de Antigua, contact us by completing and submitting the form below. If you are looking for a specif part number, please include it with your message.